Wallace Stegner, an American author born in 1909, is perhaps best known for his Pulitzer Prize winning novel Angle of Repose (1972). He wrote for six decades – novels, short stories, biographies and essays. 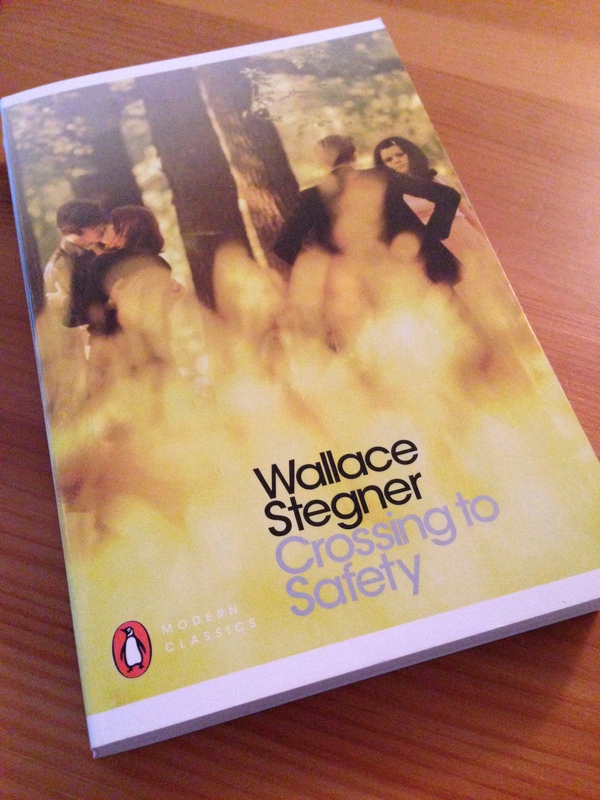 Crossing to Safety was Stegner’s last novel, published in 1987 when the author was seventy-eight years old, and it’s the first of his books I’ve read. Let me say upfront that on reading the first 60 pages of Crossing to Safety I already knew it had the potential to be one of my favourite books of the year, and I’m sticking with this thought. It’s an exceptional book – eloquent, graceful, wise and deeply moving. The story opens in 1972. Larry Morgan, successful author and college Professor, and his wife Sally have journeyed to Battell Pond, Vermont, the home of their dear friends Sid and Charity Lang. It’s a place the Morgans have visited many times in the past, and on their return Larry recalls how he and Sally met the Langs back in the late 1930s. From here, Larry narrates their story through a series of flashbacks starting with the Morgans’ move to Madison, Wisconsin in 1937. When the Langs opened their house and their hearts to us, we crept gracefully in. I remember the gray, snow-spitting afternoon, the bite of cold wind on chin and cheeks and brows, the cold of feet cramped into too-small borrowed skate shoes, the throttled-down whistle and mutter of the plane landing behind me, the vision of a racing ice-boat shearing away with one runner off the ice and the operator spread-eagled on the deck, and the sight of Sally and Sid leaning and stroking, and Charity gliding by, portly and exhilarated, encouraging me while I flounder flabby-ankled, and fall down, and get up, and fall down again. But as time passes, we discover that not everything in the garden is rosy. Charity is a force to be reckoned with; always organising others, always needing to control and direct key decisions. She’s desperate for Sid to succeed, to secure tenure at Wisconsin, and her heart is set on building a future for their family. While Sid would prefer to spend his time writing poetry, Charity pushes him to write academic papers, ideally articles that stand a good chance of publication, as she knows the higher-ups in the English Department value such things. Eden. With, of course, its serpent. No Eden valid without serpent. As well as showing us the value of deep friendship, Crossing to Safety explores how these four friends cope with the challenges and setbacks that confront them during their lives. There is no great melodrama here – no infidelities, no acts of malicious violence, no hatred or vengeance. Their struggles are the stuff of our everyday existence, but no less important or significant as a result. In this respect, Crossing to Safety reminds me a little of John Williams’s Stoner, a remarkable book that gives us the story of a man’s seemingly less than remarkable life. Like Stoner, the final section of Crossing to Safety touches on our mortality. It raises questions as to how each of these individuals might manage if their partner were to die. How might the one left behind cope without their soulmate? Could any of us survive if faced with the same fate? There’s a point in this novel when Charity’s son-in-law, Moe, asks Larry why he hasn’t penned the one book that’s screaming to be written, the story of Sid, Charity, Larry and Sally’s lives. Larry contemplates the following question: ‘How do you make a book that anyone will read out of lives as quiet as these?’ Well, that’s exactly what Wallace Stegner has done with Crossing to Safety, a book that captured my heart. So fully invested was I in the Morgans and the Langs, I didn’t want their story to close. Crossing to Safety is published in the UK by Penguin Classics. Source: personal copy. This entry was posted in Book Reviews, Stegner Wallace and tagged Book Review, Fiction, Penguin Books, Penguin Classics, US, Wallace Stegner on July 21, 2014 by JacquiWine.